Like it or not, CDs have gone the way of 8-tracks, VHS tapes, and laserdiscs. While some collectors enjoy keeping their old CDs around, others have either moved into the rapidly growing vinyl collecting movement or taken to online streaming for their music needs. CDs, outside of the car at least, are just not something most homeowners want to keep around anymore. Of course, there are different ways to purge your CD collection from your life. A popular way of disposing of CDs is to first rip the CD content onto a hard drive or computer. That way, CD-quality files are still preserved, which are often as good, if not better than, streaming service quality music. Others may donate their siblings to younger siblings who may not be old enough for their own Internet devices. This method of passing on music and songs to other members of the family is popular for spreading the music that means so much to you. However, there are more final resting places for your CD collection than the dump. The art of recycling and repurposing old CDs is increasingly popular. Much like with laserdisc and vinyl records, the familiar and iconic design can make them excellent foundational building blocks for some really fun arts and crafts. To make the most out of your CD collection and save them from the thousands of landfills other CDs end up in, we’ve come up with our favorite five crafts. 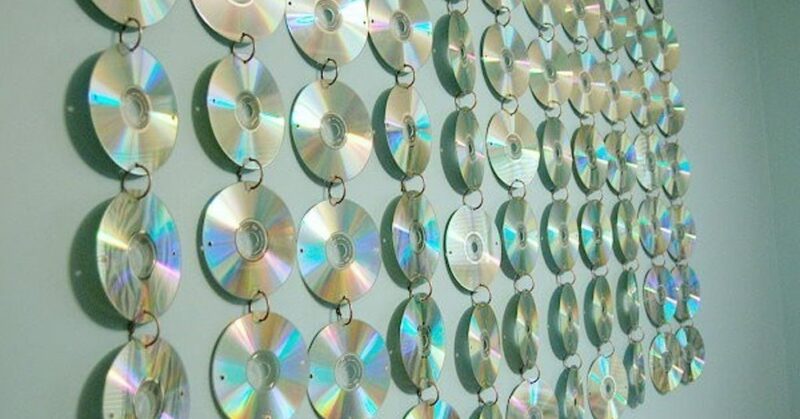 These are ideas for recycling CDs and giving them a second life as a design or art installation in your home. We’ll also be going over what types of crafts are best for use with CDs, as well as discussing other consideration and crafting tips in our Crafts Guide. Before we get into what you need to look for in a crafty CD recycling project, it’s best to take a close look at the materials we’ll be working with to come up with a craft that’s right for it. 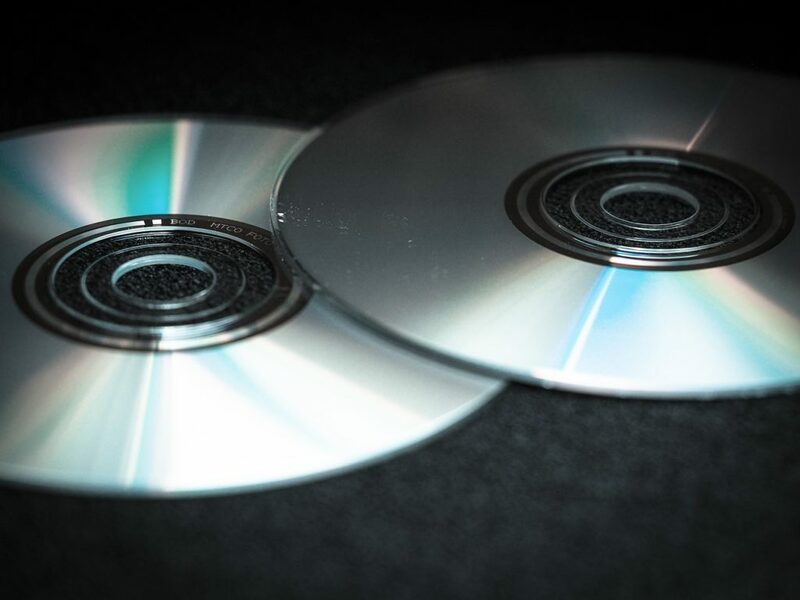 Generally speaking, we know that CDs are made up of substances called polycarbonates. Polycarbonates are thermoplastic polymers, which is a fancy way of saying that they’re simple plastics designed to be molded, shaped and last an incredibly long amount of time. However, polycarbonates aren’t what give CDs their playability—or signature shine on the back. So while that information may be helpful for trivia night, how does it help us better understand how we can turn CDs into fun and creative projects? Generally speaking, these properties are what gives us the ideas to build fun crafts in the first place. We can take advantage of the shiny polycarbonate layer regardless of whether or not we know the terminology. We also know that this brittle plastic can be heated and somewhat molded, so if the flat shape of a CD isn’t good for your project, you can simply heat it (within reason) and bend as needed. This means that CDs combine the shiny quality of laserdiscs without the difficulty in bending and shaping the material. CDs are also as malleable as vinyl but give off the shine that vinyl can’t. While you may have never considered CDs in this light, this line of thinking can help you in finding new and inventive ways to use CDs that we couldn’t possibly come up with. There are tons of ways to repurpose and recycle CDs. From using a single CD to cover up a hole in a wall to utilizing tens of thousands to create landscapes from nothing. Which is why we think our crafty ways to recycle your old CDs should be used more as a suggestion catalog than a hard and fast rule. However, we think that any of our crafty CD recycling ideas could find a warm welcome in your home. And if you’re struggling to work with the material or don’t know how to properly mold it to your needs, we’ll be going over everything you need to know in our Crafts Guide. Birdbaths are often made from shattered tile, which lines the shallow basin from which birds in your backyard can take some solace from their lives—while bringing a little bit of joy to yours. Over time, however, the surface of your birdbath can become dull and gray. So why not take advantage of those extra CDs of yours to bring a little shine back into the lives of your backyard birds? 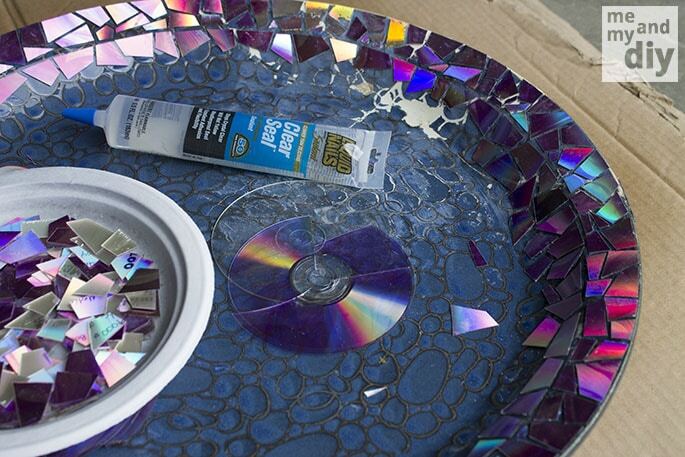 Resurfacing your birdbath is one of the easiest ways you can recycle and reuse CDs. All you need is some clear seal, a birdbath, CDs you don’t mind smashing, and a hammer. To resurface your birdbath, find a safe area and smash away at your old CDs. We also recommend using thick gloves during this process to ensure no accidents keep you from finishing your project. 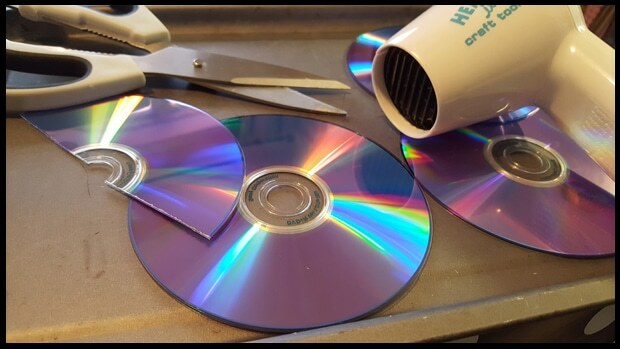 Using the hammer to smash your CDs should help to separate the layers of CD we don’t need. Take the shattered pieces that are most reflective, and use your clear seal to resurface your birdbath with the pieces. Allow to try and cover with more clear seal if necessary to avoid any harmful and sharp edges. A simple afternoon project could make your birdbath an exciting prospect for your bird. Plus, you can use concrete or other sealants for a longer-lasting bath. Have some leftover shards from your CD smashing session? Take advantage of the extra building material and make yourself a few new ornaments for your Christmas tree. 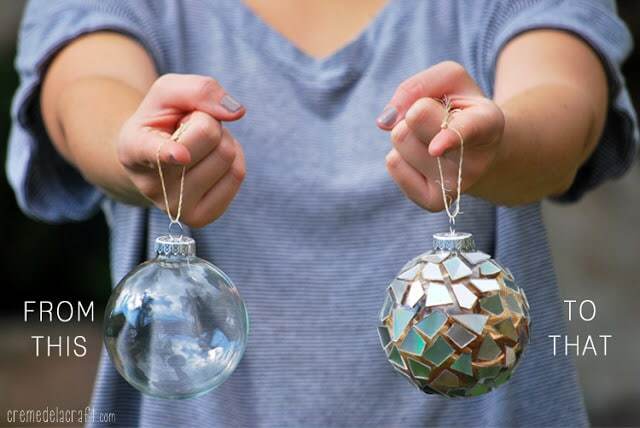 For this craft, you’ll need super glue, a clear, round ornament, and clear sealant if preferred. Take the clear ornament and carefully glue on the shards of the CD. This will be a more involved process than the birdbath resurfacing, since the rounded edges force the shard out, not in. Coat with clear seal if necessary, and add some glitter if you’ve got it. The result should be an ornament that reflects like a disco ball and costs far less. Preserving the wood on your table is already difficult enough with guests and young ones placing drinks where they shouldn’t. So why not take your extra CDs to give a little extra protection to your favorite furniture. 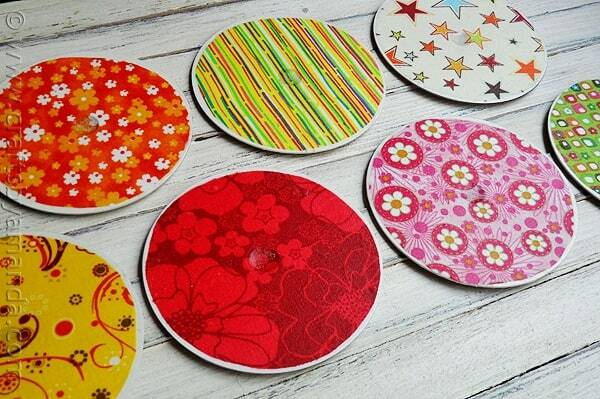 Making table coasters from CDs can be done a variety of different ways, but we recommend using your preferred fabric and patterns on one side, and non-slip foam material on the other. To make, simply use a small amount of super glue and line the perimeter of both the inner and outer edge of the CD, then place the top fabric and press for several hours. After that’s done, repeat the process on the other size with the foam, and if the foam needed to be superglued, then press again for several hours. Waiting a while at this stage will prevent peeling later on. You should end up with table coasters that give your home a kitsch look and save you from making an extra trip to the stores. Have a long driveway with lots of turns and posts that you bump in the right? Avoid paying extra for regular reflector when your CDs can be used in their place. There’s really no way to modify or change up the way CDs come to make them more efficient at reflecting. 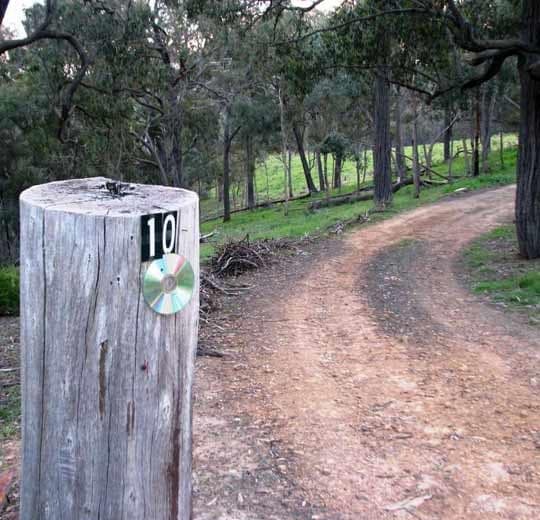 All you’ll need to do is head outside, find a way to secure the CD to the correct location or post, and wait for nightfall. You should be left with a reflector that will prevent any unhappy accidents when driving around at night. The important thing to note here is that nailing CDs with assuredly cause them to shatter. For best results, find a way to firmly (but not too firmly) mount the CD to the post using the inner hole. We know that this crafty idea is as vague as they come, but it’s going to have to be—since every CD collection is different. And odds are, if you have a CD collection large enough to use as a crafting material, you may still appreciate music enough to want to find a way to keep the celebration of music alive in your home. Have a classic rock collection and don’t want to throw it away? These make perfect above-door linings in basements, dens, and bachelor pads. More interested in vinyl than CDs these days? Use CDs to line the walls near your player and amplifier to signify this section of the home as music-only. And if you’re really adventurous, you can cut CDs in half and attach to record-sized boards and poster paper to finally get your record collection in alphabetical order. Home decor is going to depend on how you like to style your home, so if you have a modern and minimalistic setup, CDs lining the walls may not be right for you. However, for the fun and loose part of your home, consider skipping the regular expensive backsplash for a reflective and fun alternative. We think that any of the five crafty ideas we’ve suggested above can breathe new life into the dying medium of the compact disc. However, if you’ve never worked with CDs before, you’re going to need to know a little bit more about the material before moving forward. For instance, and like we mentioned when discussing birdbaths, CDs are made up of several layers that can be separated from each other when broken. While CD layers can be separated without taking a hammer to them, this is often the most efficient process for doing so. Likewise, if you need to bend your CDs without breaking them, simply pop them into the oven. This works best for blank CDs or CDs without paper-printed covers on them. We highly recommend heating CDs under careful supervision to avoid having a fire on your hands. However, if you need rounded CDs for any reason, this is the easiest way to accomplish your goals. Likewise, cutting CDs without having them shatter on you is best done via radial or miter saw operating at high speeds. You can attempt to cut CDs with sharp scissors, but odds are, you’re going to end up with an uneven cut. Finally, remember that CDs are plastic. That means that every consideration you make needs to bear that in mind. Plastics are malleable, easy to work with, but also require specific sealants and adherents that will last longer than standard materials. Paying close attention to the details makes the difference between a craft that will last a year and one that will last a lifetime. No matter which of our craft ideas you pick, we hope that our top five best crafty ways to recycle your old CDs have given you a few ideas as to hope to best take your old collection and make something meaningful out of it. Just as your CD collection had meaning to you back when you were first building it, the crafts you make with those CDs can keep the legacy alive and allow you to keep your collection close by without it interfering with your storage space. Recycled into another project, and when done correctly, your CDs can stick with you for a lifetime. I am a web developer who is working as a freelancer. I am living in Canada with my young son and an old cat named Oscar.